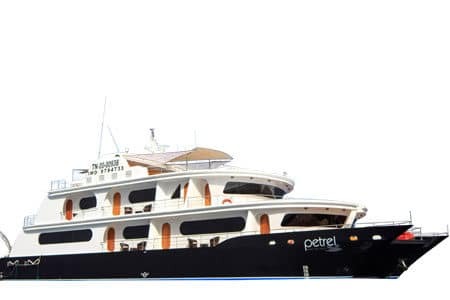 The Estrella del Mar Galapagos Yacht provides some fine cruising aboard her elegant interiors. Guest will appreciate her generous confines, a knowledgeable naturalist guide, and a crew of seven for an enriching experience exploring the Islands. 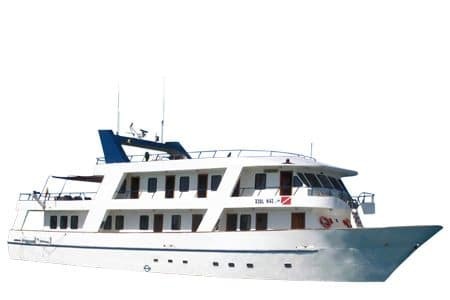 A 16 passenger capacity vessel with 8 fully equipped cabins featuring private baths, hot water and windows with air conditioning. 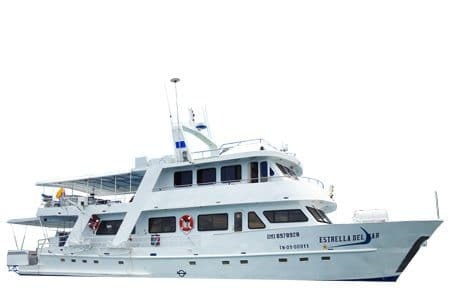 Itineraries aboard Estrella showcase the western islands in a thorough 8 day program and southeastern islands can be approached with short 4/5 programs or the full 8 day itinerary. 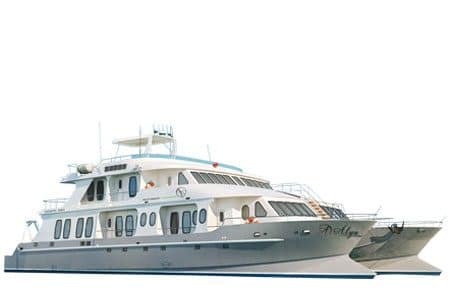 The Nemo 3 Galapagos Catamaran is the newest addition to the fleet, a first class vessel with an outstanding approach to the islands, a common trademark among Nemo’s fleet. The perfect combination of commodity and privacy, all within the unique setting of the Galapagos Islands. A service-centric appointed vessel with the perfect amount of features. 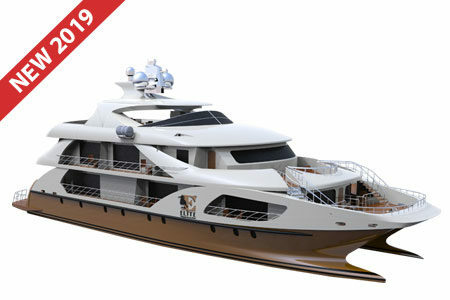 Large exteriors with a Jacuzzi and sundeck, private sea level cabins with great stability, and a wide variety of meals. Comprehensive programs are available from short to long itineraries, catering to a wide range of guests. 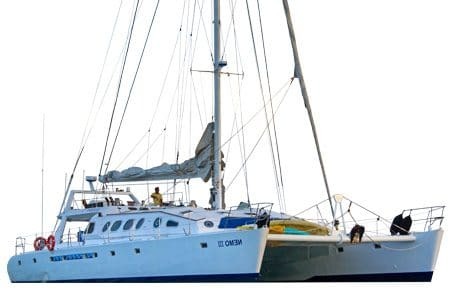 All things considered, the Nemo 3 Galapagos catamaran is sure to live up to the standards of its sister’s vessels with similar traits coupled with its own personal touch. 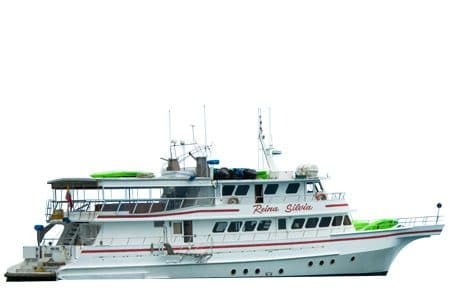 The Reina Silvia Galapagos yacht is a stellar first class experience providing some fine cruising to explore the islands with contemporary wooden interiors, carpeted floors, ample lounge areas, & comprehensive programs. Ideal for guests looking to discover the islands with in-depth itineraries. 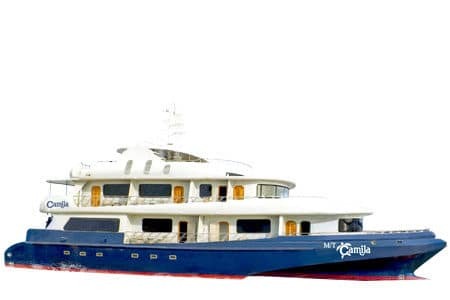 A 90 feet long vessel that accommodates guests in 6 staterooms with double & twin arrangements; A triple layout is available under request. All staterooms carry their private bathrooms with all amenities & facilities. 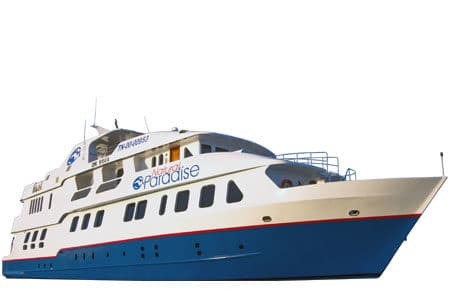 A crew of eight caters to passengers needs creating a pleasant environment for all to 12 to 16 guests. Eastern & Western routes are available for 8 days only, showcasing the best and most prominent visit point in the archipelago. 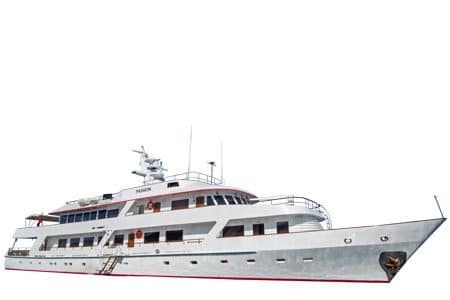 The Passion Galapagos yacht redefines the sense of sophistication and exclusivity, a vessel privately owned – now fully renovated; retaining her elegance and character. Unlike any other yacht, Passion features incredibly large areas for a small group of 14 guests with a service ratio of one crew member per guest. Al fresco meals can be served in the exterior dining, a beautiful panoramic sky lounge and wide lounge chairs with Jacuzzi are available for leisure. Exterior settings of the Passion boost more than 200m of fine teak decking for guests comfort and relaxation. 5 spacious staterooms and (2 suites with double bathrooms and private lounges) ensures the highest level of comfort. Thorough east & west programs available in 8-day departures warrant an outstanding Galapagos venture.